Recently, I have got tired with the little space that Dropbox has and decided to explore my own options, a few potential candidates came up, SparkleShare was the first one to consider, except somehow I got the impression that the product is still pretty much in a beta stage and is relatively new and unstable. 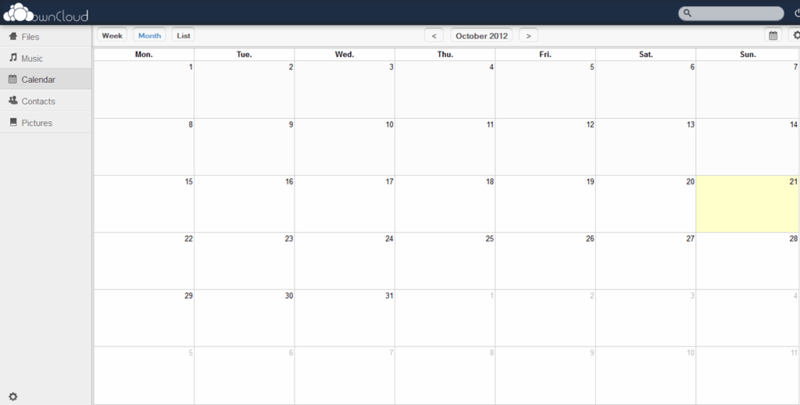 Hence I decided to take a look at OwnCloud, which seems to be a more mature product with a relatively larger user base. Initially I was using an LAMP (Linux + Apache + MySQL + PHP) since it was given by my VPS provider by default, and seems rather easy to install. However, the performance was not good. Sometimes it took the server a minute for the web page to load up once after I signed in and to me that is definitely not the kind of speed I would like to see, so I have decided to explore an LNMP option, to use Linux + Nginx + MySQL + PHP-FPM to set up my OwnCloud. Note that I have used Debian Squeeze as the OS to set up Owncloud, however as I have complied all the packages myself from the source code, these methods and tricks will essentially work on any Linux distributions. For everything else, I just installed as per the default configurations (you can take a look at the installation instructions here), note that I used www-data:www-data for PHP-fpm and if you decide to do the same, make sure Nginx is running as www-data:www-data as well. Note that I used the OwnCloud 4.5 instead of the 4.0 version. Next you will need to change the owner of the package to www-data:www-data. Note that I have turned off fastcgi_params HTTPS on because I am not using HTTPS connection and SCRIPT_FILENAME is commented as well since it showed up in my fcgi.conf, which is a customized version of the fastcgi_params file, if you did not have a customized version of it, you will need to add the SCRIPT_FILENAME parameter. Restarted php-fpm and log into the server, set up a user name and password and clicked on the Advance Options and select MySQL as the database, entered the MySQL credentials that I have created earlier. Where DOC_DIR is the document directory I upload my Owncloud installations to. The fix for this one is relatively easy, go to php.ini file (in my case it is at /usr/local/php/etc/php.ini but yours could be different depending on the PHP configuration options), edit the DISABLED_FUNCTION line to make sure scandir is removed, and restart your php process. UPDATE: As per comment below, here is another potential fix: set cgi.fix_pathinfo=1 on /etc/php5/fpm/php.ini, thanks Mbembi for the comments and Christos for the confirmation! Of course, the usual stuff such as change the ownership remains, hopefully this little guide will help you to get through the pain to get OwnCloud working and have your own storage on the cloud!